The key to a successful recovery from drug addiction and long-lasting sobriety is personalised addiction treatment. At Detoxplusuk we recognise that no two patients are alike. Since 2014, we have offered an extensive list of various rehab locations to ensure the best possible recovery process for all of our clients. Additionally, we customise our services to meet the individual standards of every one of our patients. Our staff of seasoned, compassionate professionals works hard to meet every customer’s mental, physical, emotional and spiritual needs. As such, we guarantee a safe, comfortable healing environment throughout the treatment process. At Detoxplusuk we understand that addiction is a personal struggle. 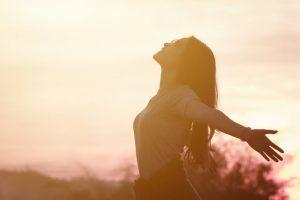 We also appreciate that, since addiction is unique for everyone, it’s only natural that the recovery process would be different for everyone as well. There are many methods of treating addiction and achieving sobriety— and our team of treatment specialists works hard to find the ones that best fit the individual needs of each patient. Detoxplusuk helps our clients throughout their respective recoveries by developing personalised treatment plans for every one of them. If you would like to learn more about our personalised addiction treatment services, our admissions counsellors are available 24/7 to answer any questions you may have. Call us today at 02072052734 to learn more about how we can help you or your loved one on the road to recovery.